Is there a certain food that you did NOT grow up eating, but now can’t imagine your life without it? I have several. Hummus is one. Pretty sure the grocery store in the small town I grew up in didn’t even carry hummus when I was a kid. And mangos are another one. I’m not sure when I had my first bite of mango, but I was an adult, or very nearly one. Now, I find myself picking up at least a couple of mangos each time I go grocery shopping. 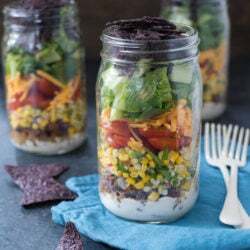 I like adding a bit of mango to my smoothies for an interesting flavor, and chopped mango also adds a subtle sweetness to the black bean tacos I make for lunch quite often. I also love them for how healthful they are. A one cup serving of mangos is just 100 calories, and provides 100% of my daily vitamin C, 35% of my daily vitamin A and 12% of my daily fiber. Awesome, right? 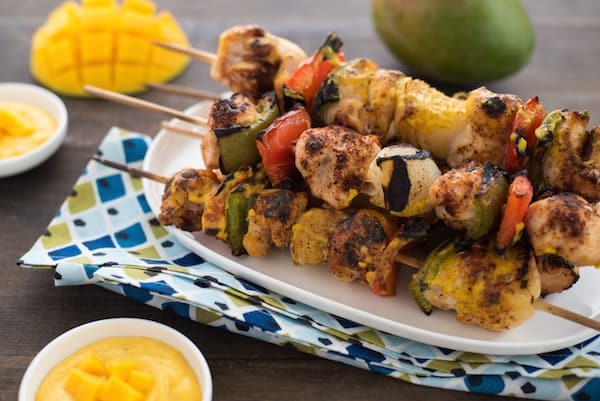 When the National Mango Board asked me to come up with a mango recipe that would be perfect for a summer party, my mind immediately turned to kabobs. I hadn’t made any yet this summer, so now was the time! I stuck with a classic kabob combination of chicken tenderloins, red and green bell peppers and onion, rubbed with a little chili powder, garlic powder, salt and pepper (easy peasy). While the kabobs were grilling, I had just enough time to run inside and whir up a quick curry mango sauce in my food processor (a blender would work, too). I simply processed two ripe mangos, some Greek yogurt and a dash of curry powder until smooth. When my kabobs were nearly finished grilling, I lightly brushed them with some of the mango sauce, then served the rest of the sauce on the side for dipping. To find out more about National Mango Board, visit their website, and be sure to connect with them on Facebook, Twitter, Pinterest and Instagram. Place skewers in large dish and cover with water. Let stand 15 minutes. Meanwhile, preheat grill for direct grilling over medium-high heat. Thread chicken, bell peppers and onion onto skewers. I "folded" the longer pieces of chicken in half and threaded them onto the skewers that way. In small bowl, stir together chili powder, salt, garlic powder and black pepper. Sprinkle all sides of kabobs with spice mixture. Transfer skewers to grill. 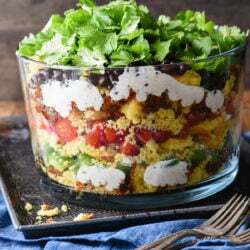 Cook, turning frequently, 14 to 16 minutes, or until internal temperature of chicken reaches 165 degrees F.
Meanwhile, in food processor fitted with knife blade attachment, process mangos, yogurt and curry powder until smooth. In last minute of kabob grilling time, lightly brush kabobs with some of the yogurt sauce. Serve kabobs with remaining sauce. I love this! 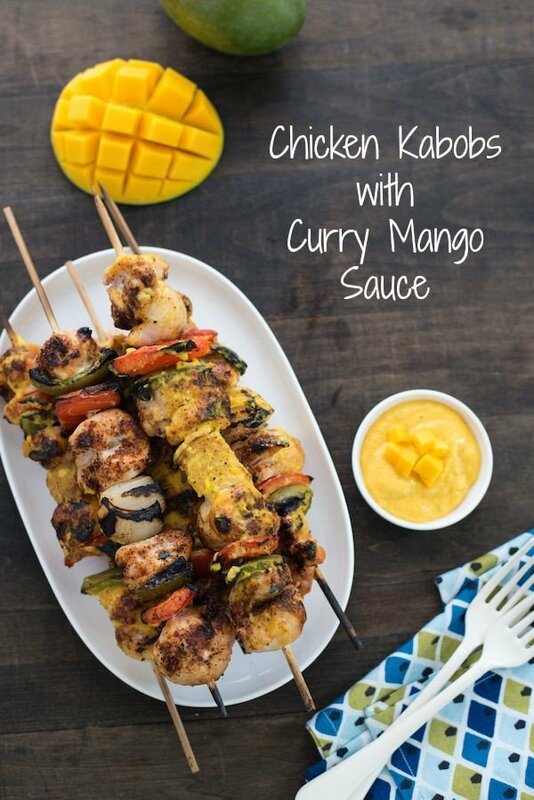 The mango sauce is so bright and great for summer! My father grew up in India so mangoes were one of the weird things we actually always had in our house as kids. I just started buying them a lot recently again. If I can stop myself from eating them whole over the sink with juice dripping down my chin, I’ll have to give these kabobs a shot! Those are seriously gorgeous skewers, Lori. Mango is one of my all-time favourite foods. I with you there, I don’t remember when I first had mango but afterwards I was like why didn’t I have this sooner?! 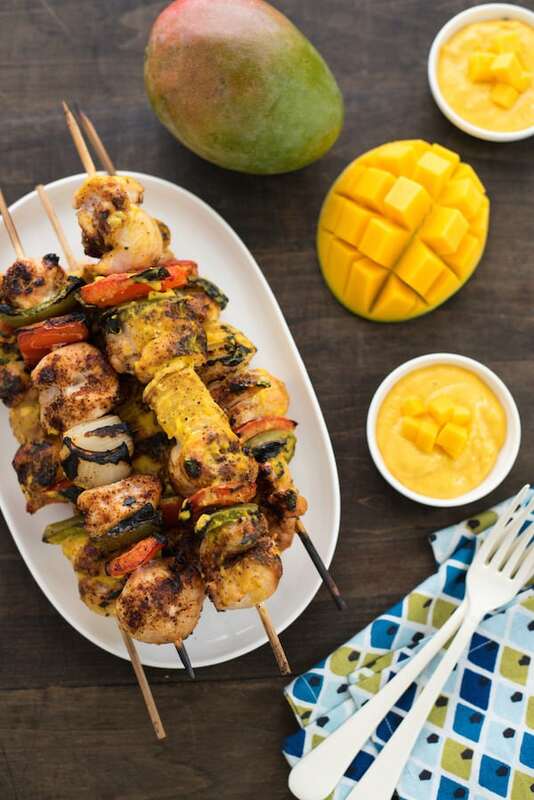 Mango and savory foods just belong together and these kabobs looks delicious! I agree, Susan! 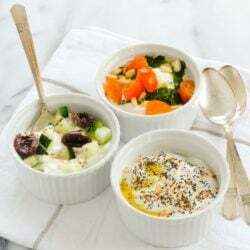 I like mango in desserts, but I actually enjoy it more in savory foods. This is definitely happening this week! I’ve got everything on hand; I love it when this happens! Thanks so much, Hannah. I hope you love them! I am basically in love with mango! 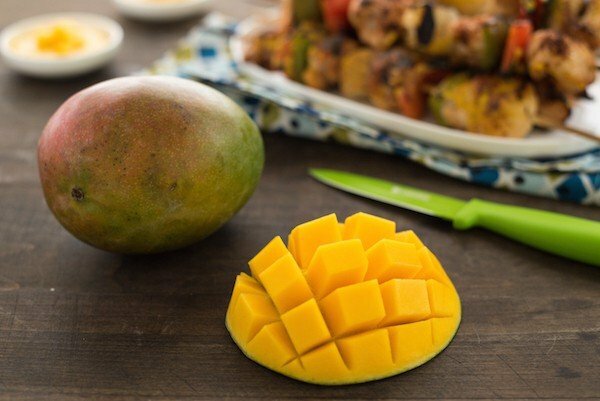 Give me anything with mango and I will swoon! So I need to try these! Mango is swoonworthy in my book as well. Thanks Sophia!